Yes, McDonald’s finally invaded our Italian neighborhood. 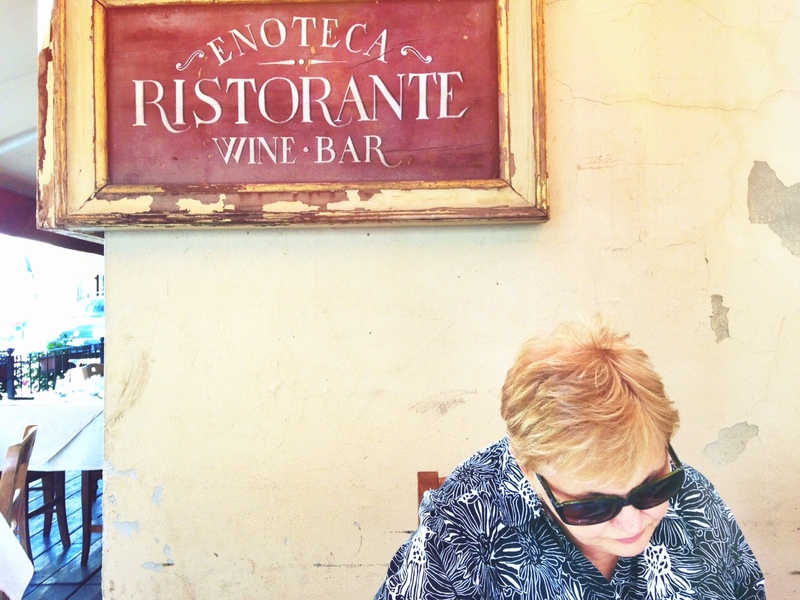 When we bought our house in Sansepolcro, Italy eight years ago, there was only one McDonalds in the area–in Arezzo, 35 minutes away. And that was okay. We were in Italy and had no interest in eating at McDonald’s. I’m not against McDonald’s being there. The Italians seemed to have embraced the brand as there are apparently more than 450 franchises scattered around the country. I’ve even found them convenient. In Italy. When my oldest daughter was four years old and getting cranky as we were walking into the Siena city center from a parking lot, we walked by a McDonald’s. And it was a life saver. But in my neighborhood in Sansepolcro? Didn’t need one. Happy not to have one. So. In the picture above, you see a carton of fries. An empty carton of fries. They are empty because we have eaten all the fries. 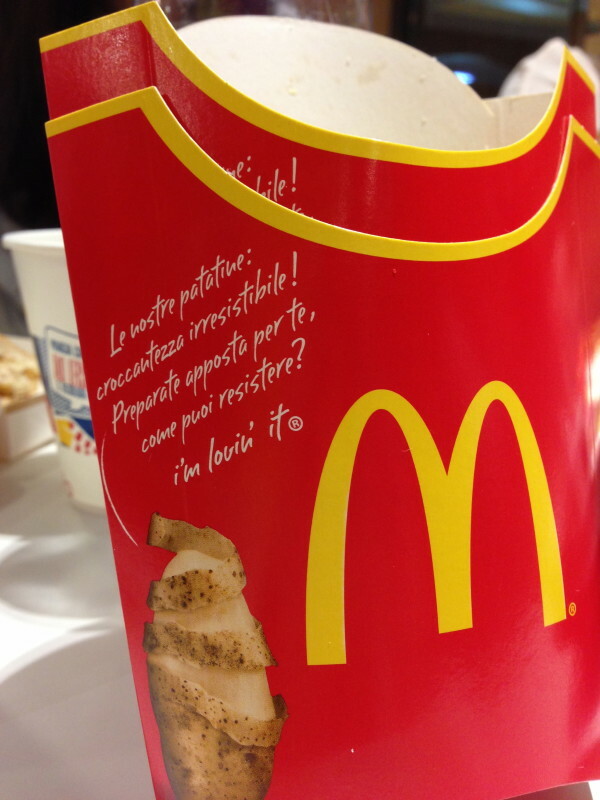 After many, many months of resisting the “new” McDonald’s that opened last year in nearby Citta di Castello, across the border in northern Umbria, we could resist no more.